Tips & tricks to stop Whatsapp messages affecting smartphone. In my life, there are only a few things I hate. And one of those things is a not-worth-a-damn broadcasted ‘Good morning’ message on Whatsapp. I am a hundred percent sure that same is the case for most of you too. Apart from being just an annoying message, many time the greetings are in the form of image, GIFs, or sometimes video as well which affects our smartphones (mostly concerning the memory). Now, you can directly inbox the people-sending-such-messages and say them “Please stop this irritating messages.” and leave all the Whatsapp groups to stop the visual content piling up in the memory. But, it might sound rude to your near & dear ones. Or you might miss out on that hilarious joke (shared in one of the Whatsapp groups) which people are talking about at the school. Hence, this method is impractical. So, in this article, I am going to share some tips & tricks to stop the visual, unwanted messages gathering up in the gallery. After the Jio effect, over a total of 200 million Whatsapp users are Indians. According to a report from The Wall Street Journal, Indians are obsessed with morning greeting messages. Google researchers in Silicon Valley were trying to figure out that why phones were hanging half a world away. And they found that Indians are obsessed with sending greeting messages; most of those messages are in the form of visual content (i.e., Images, GIFs, etc.) which increases the pile of junk-visual-content which as a result affects the phone’s memory leading to freezing of the phone. I guess this is the fastest and the most preferred way to clean memory for adding new and important stuff. As we know, Google’s Photos, as well as other similar Galleries, comes with a folder-wise option. One of the folders is the “Whatsapp Images” folder. Open that folder and select the redundant images and delete it to open up some memory. We use this technique when images already exist. But what if we willingly don’t want to save those photos? Well, there’s a way. And it leads us to the second option. If you don’t want to waste time by selecting and deleting the unnecessary Whatsapp greeting photos, then this is the easiest and efficient way. If you don’t know already, you can tweak your download preferences. Then move to your Data & storage usage. In that, in the ‘Storage usage,’ you can check the amount of space acquired by messages of particular contact or group. And just below that, you will see the Media auto-download option. Under that option, you can select/deselect the media on auto-download when on Mobile data and when connected to Wi-Fi. Deselect all on both, and you are good to go. By doing these steps, you will kill two birds with one stone. First, you will save memory space and second random internet data won’t be used. If you are using an android device, there are chances that you have seen ads for this app. Last December, Google, the tech giant, released an app for the android users. The Google’s Files Go app accesses your storage with your permission. Once the permission is granted, available space and used space are displayed at first glance. Once you start scrolling down, you will see different cards, such as Whatsapp media, Xender media, Unused apps, Temporary app files, etc. Using the Artificial Intelligence, Google’s File Go finds duplicate and Unused data and also displays the memory it occupies. Hence to make up space, you can delete unnecessary Whatsapp greetings as well as other unused or duplicated data. Third-party tools can also be used to avoid/remove useless greeting messages from the whatsapp. ‘Stifr Magic cleaner’ app is one such example. Stifr Magic cleaner is an intelligently built application which primarily focuses on removing junk file from social media apps like Hike, Telegram, Line, Wechat, and Whatsapp itself. This app analyses all the photos and with your permission deletes those images. It is one of its kind and considered as the best in that particular field. ‘Cleaner for Whatsapp’ is also one similar third-party tool. As the name suggests, it is only-for-Whatsapp, unlike the Stifr Magic Cleaner. It gives a clean user interface where all the data(Videos, Images, Audios, Docs, etc.) 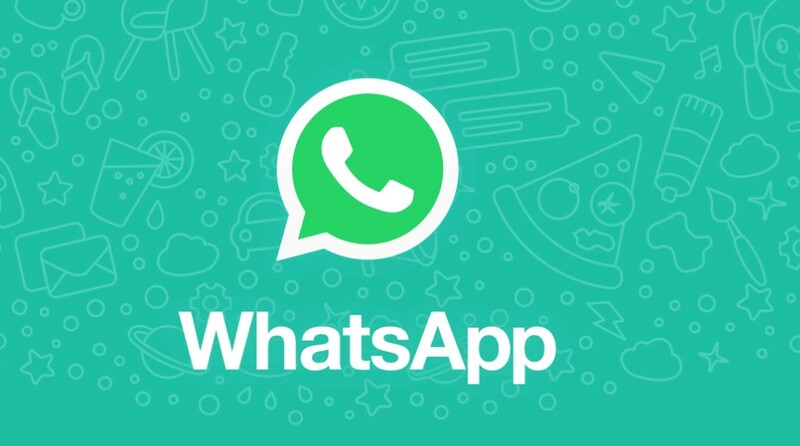 sent or received via Whatsapp are gathered individually. You can delete those data manually as well as automatically(by setting time or maximum storage space). These cleaner apps are useful, but as an application, they add overheads to the processor which might affect the phone’s performance. You can also look here for detailed information. As we saw in this article, there are several ways to save memory space from unwanted Greeting messages via Whatsapp. But as an individual, what I use and what I suggest you do is use the option-2. Minimize your browser right now, open the Whatsapp and move to settings and uncheck all the options in the Media auto-download. So, now you know what to do to get rid of unnecessary memory usage by Whatsapp images. Hope it helped. Thanks for reading throughout.